Home » Blogs » Hello Dolly Llama's blog » The “grab yer guns and destroy Obama” meme is now an internet game! The “grab yer guns and destroy Obama” meme is now an internet game! The wingnuts have set up an online “overthrow Obama” game. According to the backstory, Obama takes over in a coup (which we call an “election” in the real world), kills Glenn Beck, and puts all the other rightwing pundits in concentration camps – Rush, Sean, Billo etc. A revolution ensues, the military refuses to fight to defend Obama, and Sarah Palin takes command of the revolutionaries. The game encourages the players to “invade” and “conquer” their neighbors (presumably the nasty little brown ones). So now mass insanity is now a web game like Sudoku or crosswords. These folks are bloody insane. And looking for all sorts of ways to express, expand, build upon and incite more and more violence. And everyone is looking for a scape goat. First place to always look for the source of a problem is the mirror. 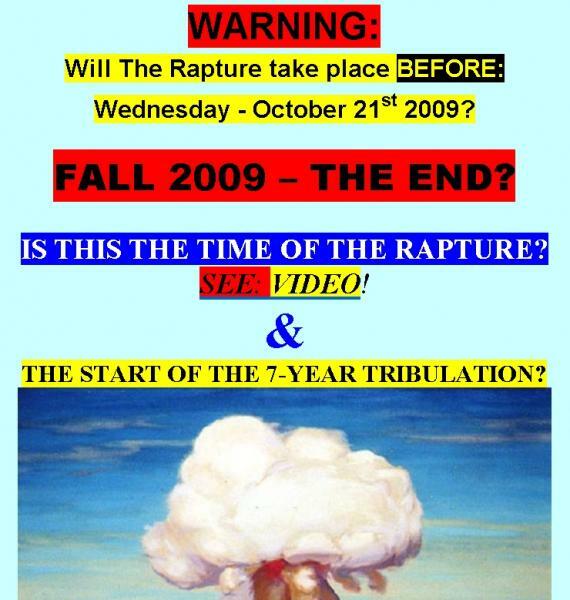 October 21 appears to be the late date for Rapture-readiness.